This is the lead post for a series of five video lectures on Ray Charles…on me and Brother Ray, I should say. 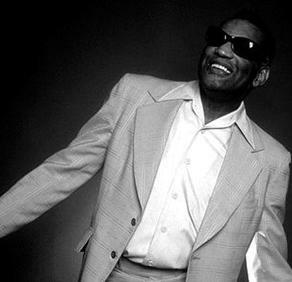 Not that I’ve ever met him personally—except to see him in concert—but Ray Charles, a titanic figure in American culture, has also figured titanically in one small American life: mine. Listen and watch Part One below. Not only did Ray Charles and his music lead me to the core issues of my academic life as a professor, it also helped me to understand how minority people like me and millions of others could think about integration, about how integration isn’t just about assimilating into American culture, but also re-making it ourselves from both outside-in and inside out, so much so that we can also speak about American culture integrating into us. The entire series should be considered one piece not only dealing with issues of music and race and culture, but also with a way of writing that integrates personal history with cultural and social analysis. The five parts below, then, belong to one, entire, five-part essay, each part moving back and forth between history, analysis, and personal narrative. Though thoroughly researched and already presented in several venues, including academic conferences, it departs from the usual conventions of academic or college research papers. I have taken to assigning this type of essay to my students over that traditional, linear, academic research paper whenever I can—which seems to happen more and more. I present this video “essay” here partly because, though I consider it an important example of the kind of writing I want students to do—and feel free to do—lack of class time often has me slighting, rushing, even skipping this presentation. Watch the full-length “lecture” containing all five parts. ♦ Go to the main Charles post, listing All Things Ray on this site. 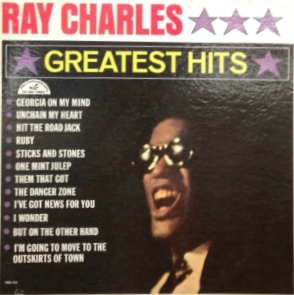 This entry was posted in Diversity & Multiculturalism, Music & Meaning and tagged "Georgia on My Mind", integration, Me & Brother Ray, Ray Charles. Bookmark the permalink.